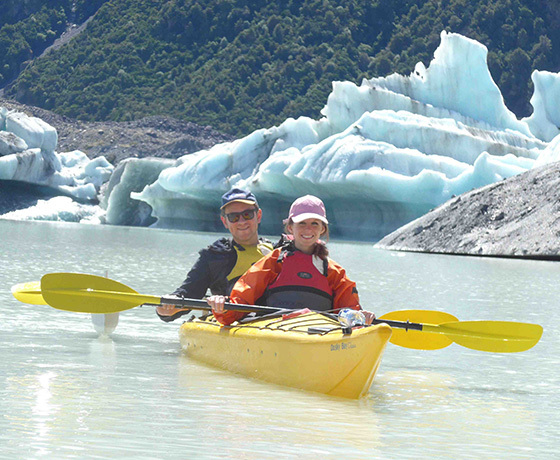 Glacier Sea-Kayaking trips are fully guided with all guides having a vast knowledge of the area and all its inhabitants. 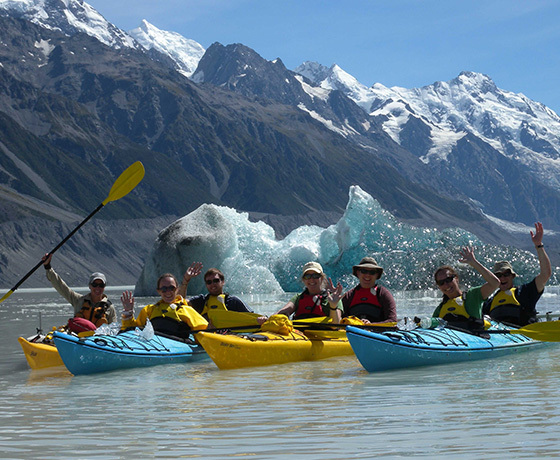 Glacier Sea-Kayaking trips suit kayakers with a small amount of paddling experience to experienced paddlers and is the only glacier kayaking company in New Zealand providing you with the best possible outdoor experience naturally! Explore the Tasman Glacier terminal lake, the transition from glacier to lake produces impressive icebergs on a regular basis; this truly is ‘Big Iceberg Country’. This trip provides a unique opportunity to meet icebergs face to face, view the glacier terminal face from a safe distance and explore the lake with plenty of time to take it all in! There may be opportunities to beach the kayaks and explore some shoreline areas. Kayaks on all trips are fitted with sturdy outriggers to guarantee stability. You will need for this adventure: warm clothing, wind-proof jacket, sun hat, sunglasses, sun cream, walking shoes/running shoes, camera. How to find Glacier Sea-Kayaking? 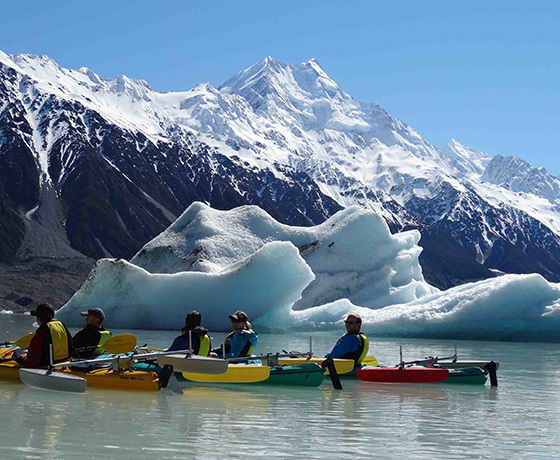 Glacier Sea Kayaking bookings are located at The Old Mountaineers Cafe, Bar and Restaurant next door to the Department of Conservation Visitor Centre in the heart of the Aoraki/Mount Cook Village. Follow the signs at the Aoraki/Mount Cook Village turn off. 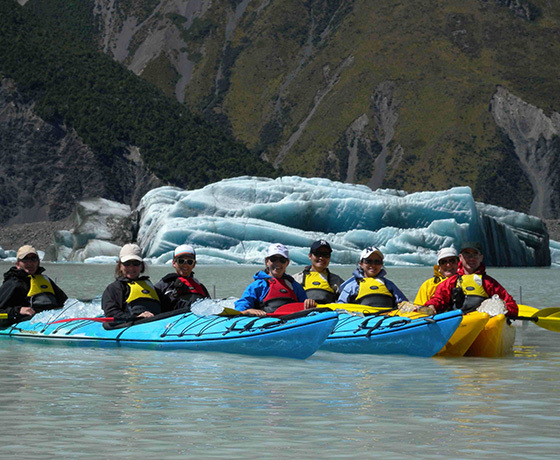 Glacier Sea Kayaking operates on the Tasman and Mueller Glacier Lakes.